The H.B. 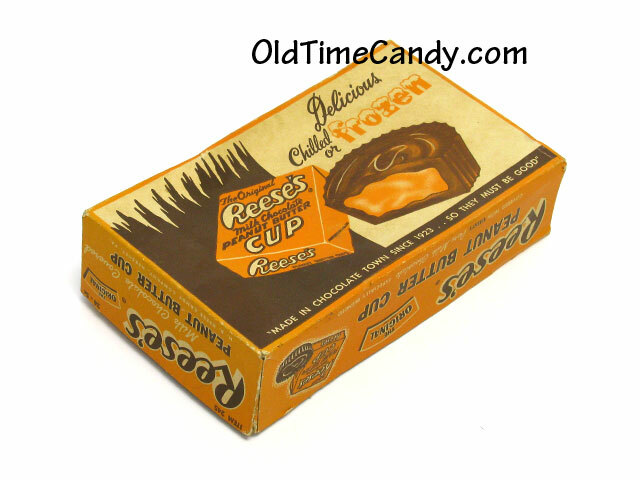 Reese Candy Company began manufacturing a product made with specially processed peanut butter and HERSHEY'S Milk Chocolate in the 1920s. Introduced as simply peanut butter cups, the popular candy item is known today as REESE'S peanut butter cups. The name REESE'S has a unique heritage established by Harry Burnett (H.B.) Reese, a former dairy employee of Milton S. Hershey, founder of Hershey Foods Corporation. Reese was so inspired by Mr. Hershey's success that he left the dairy business to make his living in the candy industry. I remember when I was a kid back in the early 1960's my grandpa and I would hop into his Cadillac to go for a ride. He sold fruit trees to the local farmers so sometimes we would drive through an orchard to visit one of his farmer clients. One of his biggest clients also had a fruit market in the front of the property. There they also sold soda pop and candy in addition to the fruit from their farm. Whenever we visited this farmer my grandpa would buy me a pop and any candy bar I wanted. Of course I always chose the Reese's Peanut Butter Cups! The creamy chocolate and that uniquely textured peanut butter center. Soooooo delicious!